Just got this through email. May be an offer unique to my account, but worth a try for anyone else looking a cheap month of Sky Cinema. Code doesn't work for me. I suspect its account specific. Not working so BRRRRR ! 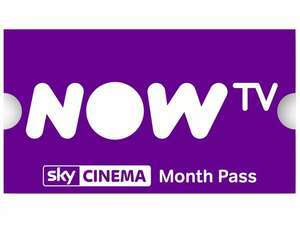 Second Sky Cinema One Month Free Trial Offer: Offer for named recipient of email only. That kinda looks like the codes you register to redeem to me.... Did you post the code they gave you once you'd paid? These are 1 time use codes. So only works whoever used it first.